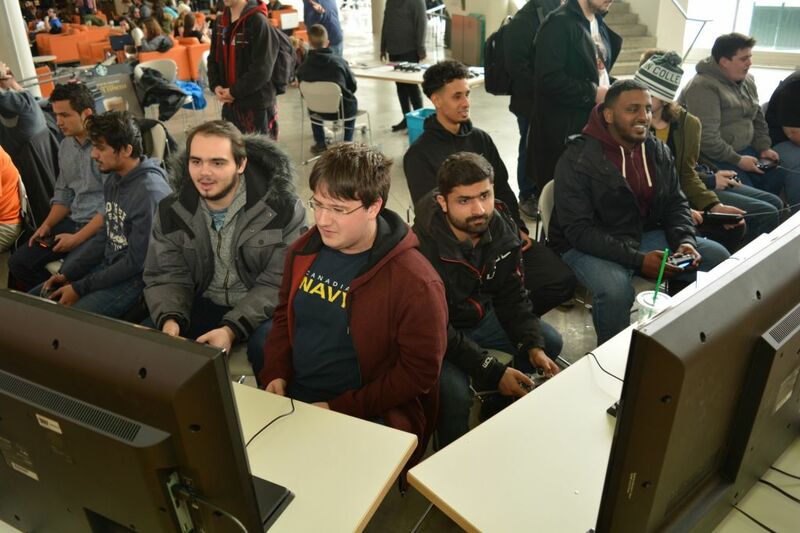 Over 40 students came from all over campus to fight, brawl and compete in another Algonquin video game tournament – only to find that there was no actual tournament to participate in. Baldeep Randhawa, the event’s organizer, originally had the idea to host a gaming tournament from 11 a.m. to 3 p.m. on March 15. However, Randhawa saw that students were having much more fun coming and going playing video games casually. Volunteers Brent and Jack Corbiel set up 12 monitors in the Commons building. Each screen either had a PS4, Xbox One or Wii U connected. Students could simply come and go as they please while having the choice of a variety of games to play. The games available included Super Smash Bros., Call of Duty – Infinite Warfare, Madden and FIFA. Randhawa said that he originally wanted to plan more tournaments bi-weekly next semester if this one had a successful turnout. He still wants to make this happen but would also like to host more free play sessions on a monthly basis to get the word of mouth going through the college. He feels that these type of events will be more popular with the students. Even though the video game tournament did not go according to plan, Randhawa was still happy with the outcome and the students had a lot of fun playing some video games in-between their classes. “Bottom line, the event is free and students can have a great time playing some games with their friends,” said senior volunteer, Brent Corbiel. No tournament? No problem Reviewed by Kory Glover on March 31, 2017 .